When Apple announces something, all of us who love technology really take it seriously and we are very anxious about the announcements, about how a company like Apple will shake the market with some innovative product, or how we will start drooling about getting that marvelous product they are about to make public. Since the death of Steve Jobs a lot of people think or thought that Tim Cook was not good enough for the role, and that Apple would not be able to innovate anymore. I think they are wrong, I think that although they are different persons, Apple has an amazing team of people that will continue to make great products to enrich people’s lives (as Tim Cook would say it). But when a company like Apple (the company with the highest value in the world), decides to live stream an event like the one of the last 9th of September 2014, they need to make sure they have their things in order to be able to fulfill the millions of requests they know they will get on such a date. 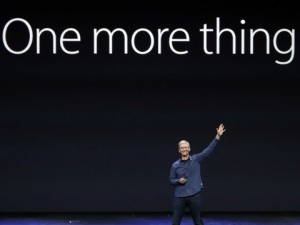 When Apple announced the iPhone 6 and 6 Plus among Apple Watch and Apple Pay platform, the streaming was completely useless. Errors all the time, freezes, a chinese translation on top of the original audio, bad quality…you name it, it happened. Apple has transmitted live the last events, and their quality was astonishing, but this time, they really had a big issue. I felt really stupid, with a USD 3.500 dollar MacBook Pro, not being able to watch something that was meant to be focused on people with Apple devices…They even have their own CDN now, so things should have gone smoother than previous broadcasts. I find it really shameful that a company that preaches about quality on every single event, and with their amount of resources, to have such a failed streaming. Disappointing several millions of people who were waiting to watch the event live. Apple didn’t even issued an apology. As Samsung stated in one of their ads mocking Apple because of this: “You work in technology, you can’t handle this?” OUCH! On an interview this week with Charlie Rose, Tim Cook was asked who was Apple’s main competitor, and he answered “Google”, if thats the case, then Google is doing way better than Apple on the streaming part at least. Should Apple use YouTube streaming services the next time? You can see below one of the many error messages I captured during the Apple event, and below you can see a video I also captured, so you can have an idea of how the transmission was. Also below, you can see Samsung’s mocking videos about the streaming and the new announcements.